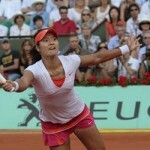 The 2011 Wimbledon Championship is set to a smash hit amongst sport fans across Asia on ESPN STAR Sports’ platforms and networks, with tennis fans eagerly anticipating Li Na repeating her landmark French Open victory at the 125th edition of The Championships. As the first Chinese to win a Grand Slam, Li’s impressive win in Paris drew record-high tennis audiences in China with 116 million viewers watching the Women’s Final, based on media reports. Besides Li’s participation in the Wimbledon, the rising profile of Asian players is expected to resonate with viewers across the region, drawing unprecedented support for 14 other players, in addition to top names such as World No. 1 Rafael Nadal, Grand Slam title-holder Roger Federer, an in-form Novak Djokovic, the Serena sisters, Maria Sharapova and many more. In its 20th year broadcasting the most prestigious tennis Grand Slam, the event will be available across all television networks and multiple platforms on Asia’s biggest sports content provider, reaching millions of Asian viewers across 24 countries including major markets such as China, India, Hong Kong, Malaysia, Singapore and Thailand. ESPN STAR Sports will showcase a record of nearly 350 LIVE matches from eight courts over two weeks on the online broadband network, ESPN Player. On television, the Wimbledon’s high-definition broadcast will be available in High-Definition on ESPN HD and STAR Sports’ comprehensive television coverage will include nearly 160 hours of LIVE tennis matches. The matches will also be available via live streaming on Mobile ESPN, for technically savvy tennis fans on the move in Singapore. With a star studded player line-up and multiple platform opportunities for fans, this edition of the Wimbledon is certain to generate huge interest and is expected to make 2011 the biggest yet for Asian viewership when the event starts this weekend from 20 June – 3 July. The strong traction of Wimbledon is evident in the fact that last year over 65 million viewers* in Asia watched the event, predominantly Male PMEBs with up to 55% in key metered markets who are likely to also play the sport and follow it passionately, while the female tennis fan base is distinct and growing. Another encouraging indicator for this is the growing media consumption for tennis content across new media platforms, which would allow tennis fans to follow the tournament anytime, anywhere. In addition, the tennis audiences are spending more time watching tennis over the years and advertisers would find it hard to ignore the Wimbledon’s high level of traction with Asian viewers. This makes Wimbledon a media opportunity that advertisers would find hard to ignore given the high levels of traction it enjoys with Asian viewers. STAR Sports’ coverage of the Wimbledon includes its distinctive studio presentation and analysis by top anchor presenter Alan Wilkins and resident tennis expert Vijay Amritraj who will both be on site to cover the action. In addition, Paula Malai Ali, from the tennis show Ace, will be on site to conduct exclusive interviews with top players and cover colour stories from around the courts. The television coverage includes Mandarin and Cantonese commentary for Taiwan and Hong Kong viewers respectively.